This ten CD/DVD presentation is one of my favorite studies. The prophet Elijah (approximately 850 BC) was about midway chronologically between Moses and Jesus. The three of them are seen on the Mountain (Matthew 17, Mark 9, Luke 9), thereby verifying something remarkable about this prophet. Elijah had many of the qualities of faith to fear as many of us possess. 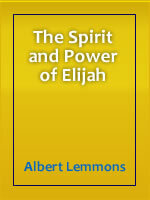 The brother of Jesus closes his amazing book with these words “Elijah was a man just like us. He prayed earnestly that it would not rain, and it did not rain on the land for three and a half years. Again he prayed, and the heavens gave rain, and the earth produced its crops” (James 5:17-18).